The Swedish island of Gotland, in the Baltic, has attracted much attention of many geologists. Gotland is built up by a Middle Palaeozoic table-land, with an average height of 20-30 m, but with some higher hills in the inland and with steep cliffs along part of the coast. The Middle Palaeozoic strata consist primarily of limestones and marlstones. For a good understanding of the sedimentary succession of Gotland, it is important that the distribution of all the different kinds of sediments should be carefully mapped, and their faunal contents to be intensively studied. This book includes the survey and ideas gathered along with important data about the stratigraphy and reefs of Gotland. It presents description of the Baltic area, development of the stratigraphical subdivision of the Middle Palaeozoic of Gotland, and some tectonic and pseudo-tectonic phenomena. Stratified and unstratified sediments are presented along with a number of palaeoecological observations on Gotlandian fossils. 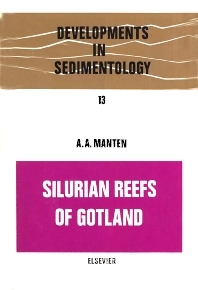 Some comparisons of the reefs of Gotland with reefs in a few other areas are also examined.